Great condition Tong/Peal caretaker potato grader. 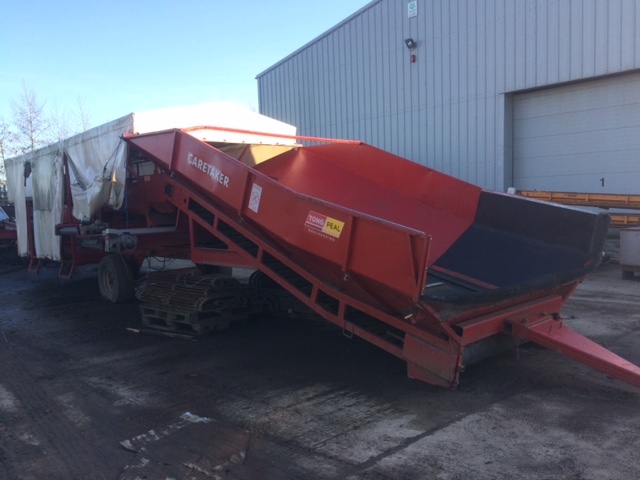 This grader benefits from having a new sheet fitted last season which also covers all of the hopper! The caretaker also has a large easy access pick off table which could have up to six people on if required. The grader has a 3000mm wide hopper with a 4ft belt which then feeds over stars then a sizing screen and finally onto the inspection table. The total length of the grader is 10m.